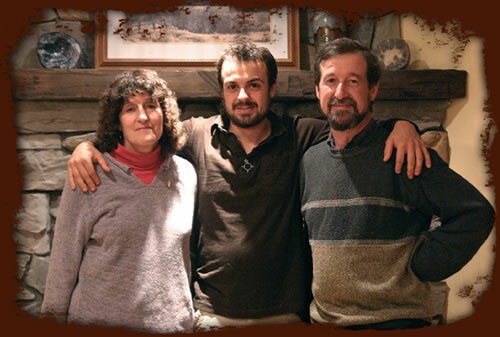 David, Donna and Nick Divoky are silent stewards of the land. They posses an intimate knowledge of the land that comes from many hours, and often many generations, of interaction with it. 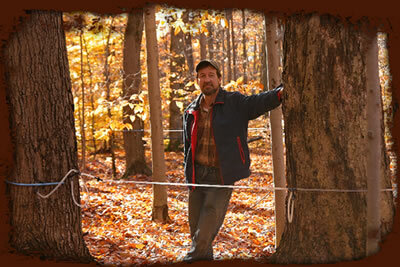 David grew up on land that was part of a rural legacy of maple sugaring. His grandparents began working the small piece of Geauga County in the 1920’s. “There’s something about working with the land…It just becomes part of you. Give me a day in the woods stringing tubing, working with the maple trees or cutting wood; I just get lost. It’s beautiful.” he adds. Sugaring can be both a joy and a challenge. One of the Divoky's setbacks in 1998 was when a devestating tornado hit their sugarbush which took down many trees, the tubing and sap transfer system. "Sugaring and working the land doesn't come easy but when it comes to bringing out God's best, you can certainly expect some adversity. "It's good to know that the most modern manufacturing processes can not replicate true, pure maple flavor. To deliver something straight from nature and watch the expressions on people's faces, you never know what they're going to say when they give our syrup a try. It makes it all worth it! One new customer stated " I can't believe it...it's like waffles in a bottle!" Dave exclaims. Donna keeps the products moving and gets it into the right hands. Nick, their son, is learning the art, filling in the gaps wherever they may be and keeping the ship steering in the right direction. Together, they provide great maple products. We are the3rd and 4th generation producing maple syrup. Our goal is to please our customers with God's best. Our County fairs have recognized our product as one of the areas best. Experience our product and let us know what you think. We know you will be completely satisfied. If not, you can be sure we will make it right.